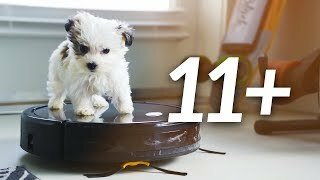 The Eufy RoboVac 11+ is one of the best-selling robot vacuum cleaners on Amazon. 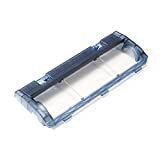 With thousands of reviews, it comes out as a high-rated product. 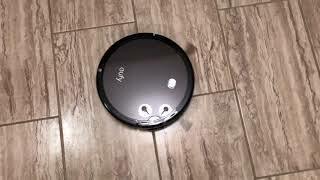 Along with two side brushes that sweep dust and dirt around corners, a cleaning brush, and a powerful motor that delivers 1000Pa when working, the Eufy handles pet hair, dust, and dirt on either a bare floor or carpeted surface. Eleven infrared sensors located all over its body help the machine move around without bumping into your furniture and falling from stairs. The anti-scratch tempered glass cover provides a sleek look and superior protection. BoostIQ Technology automatically increases suction power when needed. 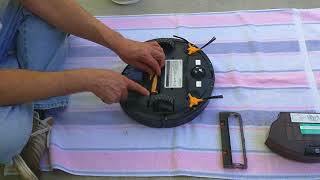 The unit can be controlled by manually pressing its buttons or using IR remote control. Unfortunately, this model doesn't support Wi-FI. 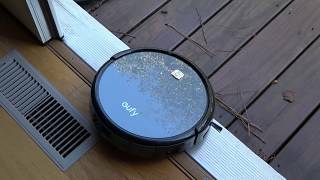 Also, the Eufy RoboVac 11+ is not able to clean medium and high-pile carpets but does a wonderful job on thin carpets and hardwood floors. 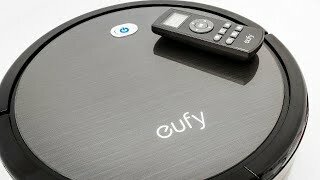 Eufy RoboVac 11+ - Best vacuum for the money?